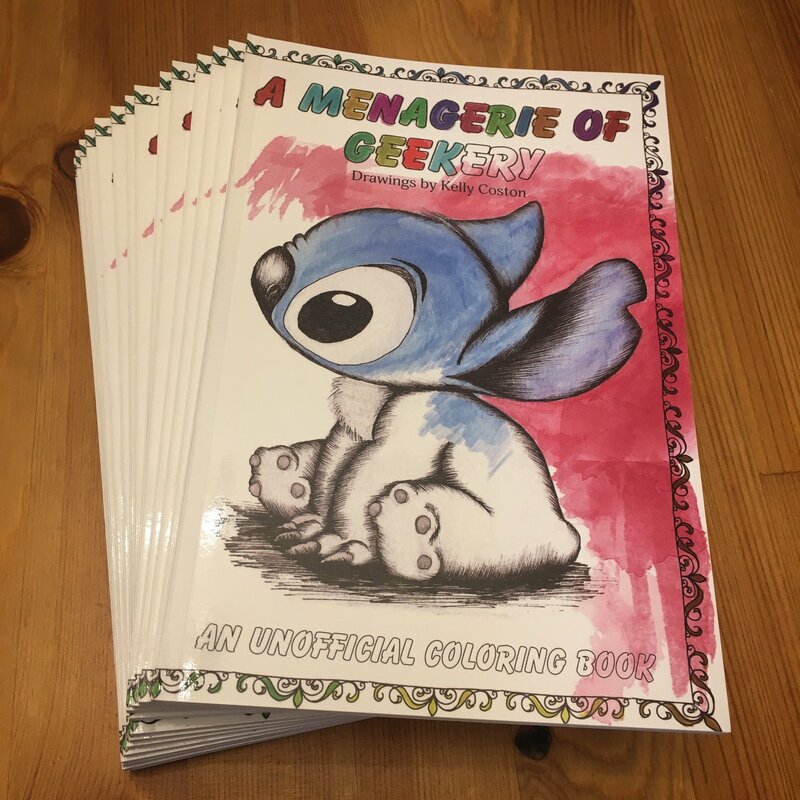 A Menagerie of Geekery – An unofficial coloring book – Geek Girl Stuff – Geekery, art, jewelry, and more! There are no rules with art. A Menagerie of Geekery is a collection of fun drawings of cute characters that are ready for you to start coloring! Each page includes of a quote from a famous artist designed to encourage and inspire. Stay in the lines, or don't, use a variety of colors and media, and go nuts. Experiment, draw, color, express yourself, and push your boundaries.